This Kurt Adler 24" Battery-Operated Douglas Fir Wreath with 30 Lights is a beautiful, festive way to add to your holiday decor. 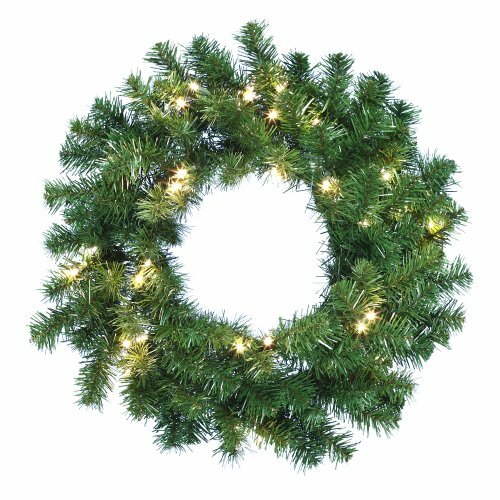 Perfect for doors or other areas of your home in need of a little extra holiday cheer, this full green wreath has 110 tips, is pre-lit with 30 warm white UL LED lights and is battery-operated. Battery and timer are included. Wholesale Silk Floral country Chic Grape Hyacinth & Fennel Seed Leaf Wreath, 24"